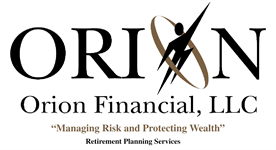 Orion Financial is a financial services firm committed to helping our clients improve their long-term financial success. We are able to offer a wide array of customized programs designed to help grow, protect, and conserve our clients wealth by delivering an unprecedented level of personalized service. One of the most important investment decisions investors will make is their choice of a financial consultant. With the help of their consultant, investors can develop a financial strategy which will be suited to their individual investment needs. We at Orion Financial put our customers first. We listen to your objectives and goals, and armed with this information research the vast array of possible solutions. Recommendations are made based on what is best for the client and are not inclusive of inherent conflicts of interest which arise when a company limits its range of available investments to "in house" products. We encourage you to explore our site and learn more about the services we provide. Should you have any questions or would like more information on our firm, please feel free to email us or call us at (877) 594-3340. We look forward to hearing from you. 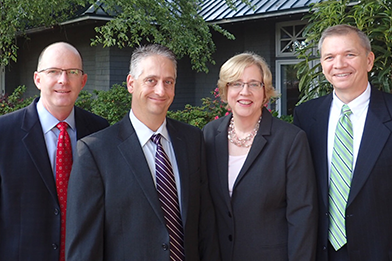 Having over 30 years of experience in financial services, Allen Poe & John Stolar founded Orion Financial upon the principles that place the utmost value on our clients’ financial goals and objectives. Securities and advisory services offered through Centaurus Financial, Inc. a registered investment advisor member FINRA & SIPC. Orion Financial LLC and Centaurus Financial, Inc. are not affiliated.